Signs and symptoms of ASD are the most common ailments that I treat. Often, autism is the primary diagnosis, but there are many patients who have some other essential problem; either named (e.g. Down Syndrome), descriptive (Congenital hypotonia), or no diagnosis (PDD-NOS), whom I help as well. I’m not boasting when I write that almost ALL of my patients benefit from treatment, since that is what a doctor should do. Our results are no false prophecy. Better health leads to improved quality of life for patients and their families. When affected individuals achieve a well-functioning G-I system, sounder sleep, softer skin, fewer allergies and less frequent illness, improved behaviors and more communication often follow. 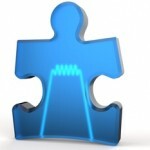 Combined with the traditional, proven therapies (including, S&L, ABA, OT, PT and others), their ‘autism’ improves. After each visit, the family is informed about progress, current skills, challenges and expectations. As in any other medical condition. A: Whatever the medical condition, including autoimmune conditions such as asthma, eczema or rheumatoid arthritis, it should be the same answer. “We will perform the most appropriate medical tests, then follow the most likely, safe and reasonable interventions based on how the child responds. Age and degree of involvement are important when evaluating response to treatment. To the extent that there is improvement, or at least a change, we will better know the type/degree of difficulties your child has and then that answer will become clearer. Q: “Do you do chelation (administering chemicals by intravenous, oral or rectal routes to remove heavy metals)? A: Even conventional scientists now agree that the toxic environment is at least as important as genetics as the cause of the increase in autism. While lead and mercury continue to be ubiquitous as neurotoxic agents, the plethora of pollutants – known and unknown – in the air, food and water may have overtaken the ‘common’ offenders as more likely culprits in the epidemic. The body’s natural antioxidant, glutathione, appears to be a safe, inexpensive and effective way to clean up the mess. The oral preparation that is used in our practice appears to be reasonably well-tolerated and works quite well. A: This specialty is presently fraught with numerous remedies that are merely the anecdotal experiences of non-medical personnel. 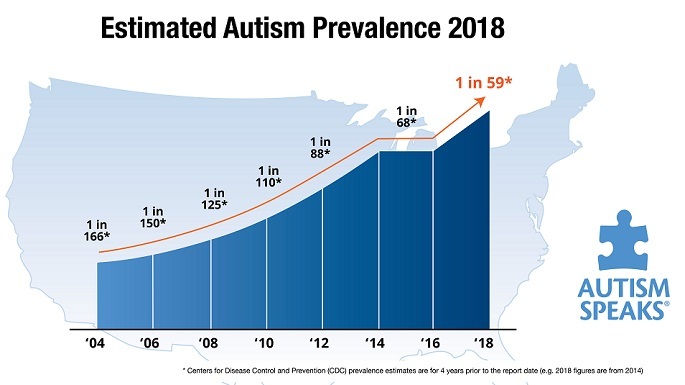 To be sure, the failure of the medical profession, and pediatric neurology specifically, to adequately and accurately approach the epidemic is one reason why individual research and treatment options have emerged. Although various treatments appear on the web, the more exotic, experimental and expensive, the more their appeal, but unanswered is their efficacy or true long-term safety. Find a good developmental practitioner and leave most of the research to us. Q: My husband (mother, mother-in-law, father, father-in-law, neighbor) thinks that the child is OK, and it’s just how I’m raising him that is the problem. They said that I (my husband, in-law, etc.) was the same way when I was a kid. A: The first sign of The Plague is a flu-like upper respiratory infection. If it were the year 1300 and you went to the doctor with a cold, he should be thinking The Black Death, not a URI. It’s 2012. When an infant today presents with Red Flags such as loss of words, problems with eye contact, or repetitive behaviors, we should be doing everything possible for that child to make sure that autism does not develop. The common thread is my belief that I’m treating a medical condition and therefore the usual workup and course of action applies. We could go all over the world, seeking cures that are unproven, because we believe that medical science has failed. But, having experienced thousands of visits and tens of thousands of patients over 4 decades, I believe that we can still stick to reasonable science. This entry was posted on Sunday, November 18th, 2012 at 8:26 am	and is filed under >ALL<, Alternative and Complementary Medicine for ASD, Chelation, Diets, Earliest Red Flags, Patient experiences, Reversing autism, Sleep, Speech and Language. You can follow any responses to this entry through the RSS 2.0 feed. You can leave a response, or trackback from your own site.